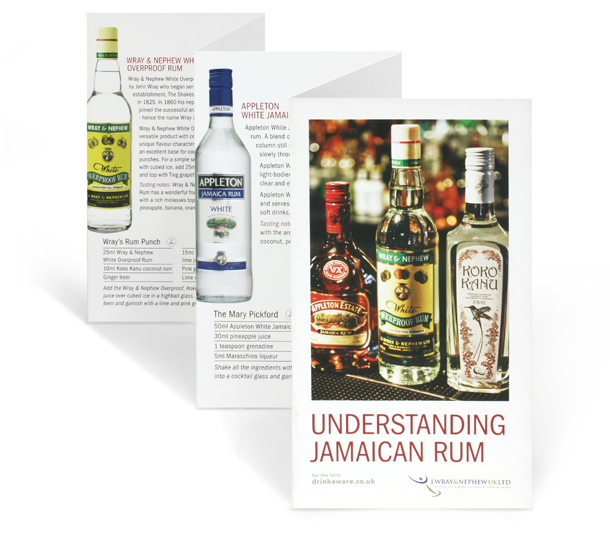 We have worked for J. Wray and Nephew — Jamaican rum distiller — for a few years now producing various material, including exhibition graphics, packaging and brochures. Below is a selection of some of the work undertaken. A small cocktail guide for Appleton Estate rum. The booklet’s cover is produced in a tactile leather-effect stock, with logo and heading printed as a metallic gold foil. 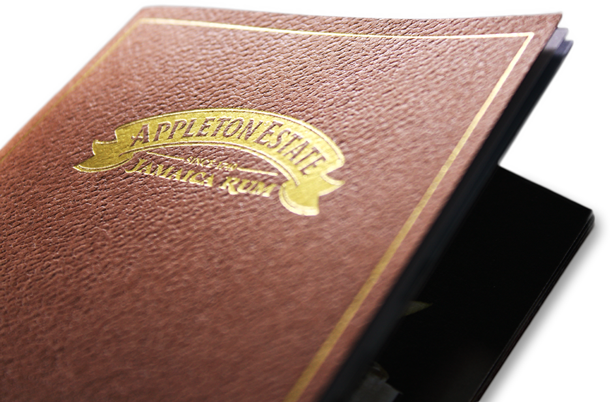 The internal pages focus on each bottle in the Appleton Estate range, along with cocktail recipes for each blend.